I get easily distracted while doing anything (at the moment I should be working... but got distracted, lol). I often get distracted while doing my fiddle practice taking pictures of my fiddle instead of practicing (how I make any progress, I don't know). @damfino these are so cute!!!! Reminds me of one of my early childhood bedrooms. Actually, and another one in my teen years... but without the violin. 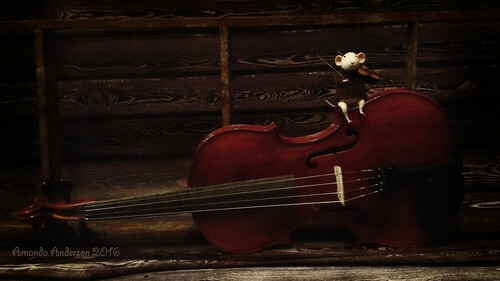 @MACJR Yeah I wouldn't want a real mouse hanging around my fiddle, lol. I wish my hardwood floors actually looked like this, but this is just a photography backdrop. Ahhhh - just got round to reading ! 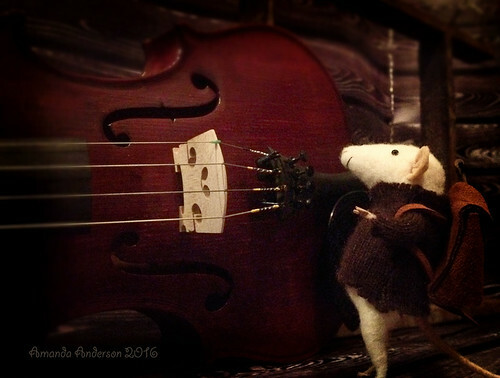 FiddlerMouse ROCKS !!!! Got any recordings of him playing yet ? When's he doing a StreetJelly session ? Is he a member of the forum here - we need more folks like that ? ROFL - j/k with yah Mandy - awesome pics - nicely done ! @BillyG Haha... I've tried to figure out how to make him hold the violin and bow better (trying to avoid using glue since he's wool) to try and do some little stop motion thing, but can't figure anything out yet, lol. His arms are just so short, haha. I was wondering if that was a digital mouse added to the picture, or if it was a real mouse figure in the photo. Now I know. I play at being a photographer and do some digital manipulation of photos from time to time. I am probably better at digital manipulation than being an actual photographer though. @MACJR Yeah, he's a needle felted wool mouse I got off etsy a few years ago, really neat little guy. I do ok with photography, but am not good with fancy editing. I'm kind of old school in that way, with minimal edits done to my photos. These were just done with my phone, since my real camera's battery was dead (killed it filming my last fiddle video, and forgot to charge it after, d'oh!). @damfino, Do you mind if I show you a couple samples of my photo work in this thread? I have a couple old works in mind. 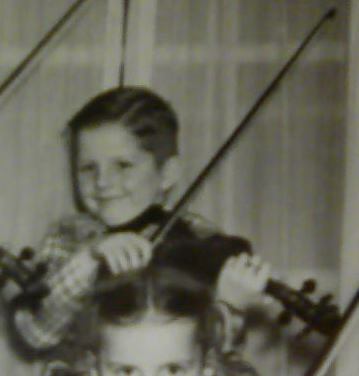 They are not violin, or music, related, but they are family friendly. Music and violin are too recently re-introduced into my life to have influenced my art yet, but these things are bound to influence future works. Give me a day or two though. My main computer is down for maintenance, and this backup computer needs a bunch of updating, but less today than yesterday. There is nothing wrong with my main computer, just time to unplug it, open the case, dust it out and check everything over. I had meant to do all that yesterday, but when I turned this computer on, I discovered that I had been neglecting to keep it updated and ready to step in when my main computer is down, or off, as it is right now. I also need to find out what is causing this computer to load like a slug. I have my suspicions (probably a Microsoft product) but I will have to dig around to be sure. Also, the image, or images, I had in mind could use some retouch work. One of them is getting to be one of my older works now (more than ten years old - where the heck did all that time go?). I have improved my technique since then. In truth though, the main image I want to show would probably be better if I just started over and recreated it from scratch, or at least go back to an early stage of development and rework it from there. @Fiddlerman Thanks 🙂 I do wish I didn't get so easily distracted. 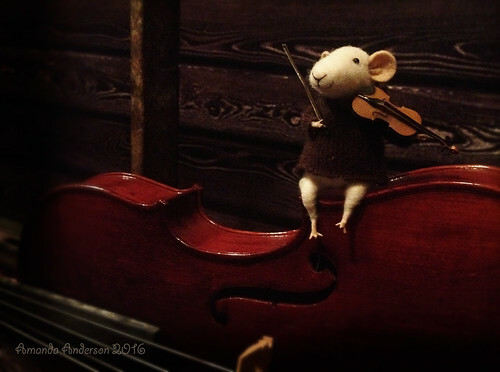 I went from playing my etude, to looking across the room at this mouse that I've had sitting in the same spot for a couple years... wondering if I could get him to hold a little toy fiddle I have, then thinking about posing him for pictures, to wondering if I could manage a stop motion video of him, lol. All while playing my etude, and eventually setting down my violin to go play with taking pictures, haha. 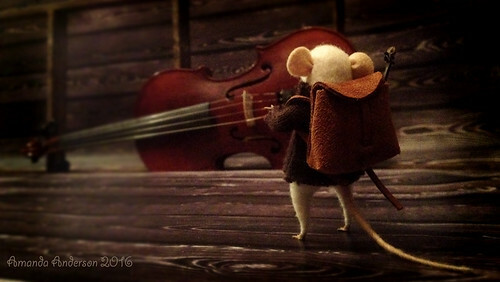 @damfino FiddlerMouse is so cute! Very nice pics. I was recording a part for the Christmas project and my husband interrupted by poking his head in the door and telling me we got 2 mice in the mousetraps in the basement. Real fiddlermice, unfortunately. Yours is much nicer. I like the GIF too, he reminds me of Stuart Little. That is awesome 🙂 makes me think of the Redwall book series. @intrepidgirl Ah, it's that time of year for those little critters. They sneak into my basement, too. I thought I had found their way in and filled it, but they must have another way in that I haven't found yet. My cat takes care of them when they do, but I do prefer a little FiddlerMouse to them, lol. Though I have been known to save the baby ones he tries to get, lol. They get set free far away from the house, lol.